Exa® Cardio | Konica Minolta Healthcare Americas, Inc. 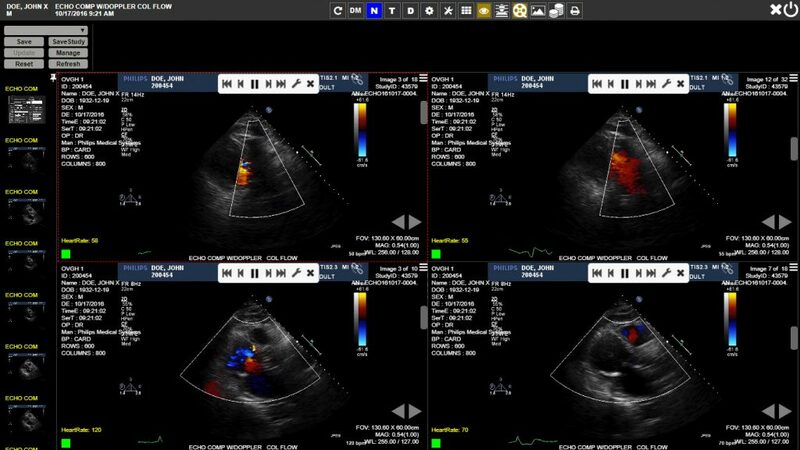 This module features the same advanced Diagnostic Zero Footprint Viewing and Server-Side Rendering technology as Exa for speed and ease of access to echocardiograms paired with customizable measurement tools specifically designed for echos. Zero Footprint Viewing allows for access to echocardiogram images, anywhere, from any Web enabled computer. Server-Side Rendering enables ultra fast image delivery regardless of computer hardware. View echo images, including priors from any workstation with instant access and zero lag time.